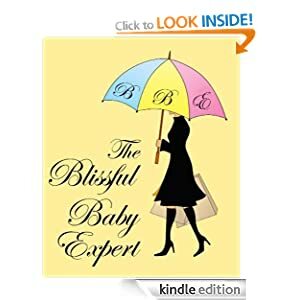 The Blissful Baby Expert Publication! When my children are crying it upsets me too. When they are hurt I want to be able to take away the pain. When they are ill I would happily take their place so that they are well again. This is a completely natural parental reaction and as parents all any of us want for our children is to see them happy. To see their smiling faces, enjoying something they are doing or laughing at something they have seen is what makes all the hard parts of being a parent worthwhile! As a mother of 3 children (I got a pink one in 2011), I know how important this is in everyday life. Happy babies and children equal happy parents-so it’s only right that we as parents try to do our best to enable our babies to develop into happy children from the day they are born! There are so many baby books on the market telling parents the right and the wrong things they should or shouldn’t do with their baby, and it’s so difficult knowing which method to use-particularly when they all seem to contradict each other. ‘Feed your baby on demand’, ‘let them find their own routine’, are common phrases in books and from our local health visitors and midwives. They are trained to promote NHS and UNICEF guidelines, but it is worth remembering these are precisely that, ‘guidelines’-no one size fits all-and every baby is unique. Mothers are often made to feel like they are doing something wrong, or being unfair to their baby by wanting some sort of daily routine to give both their baby and themselves some sort of stability and structure on a regular basis. There are also books on the market that are very strict with routine-both the babies AND mothers-seemingly with barely any room for flexibility. In families where there is more than one child this just doesn’t work. 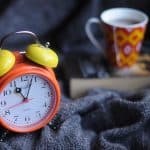 With school runs to fit in and mothers having to return to work, routines have to be adapted to suit everyone’s needs at times. Life does have to go on and can’t always be focused 100% on the baby and sticking rigidly to a routine every day. 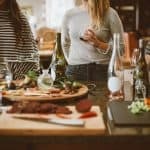 In having my own children and working with hundreds of babies and families, I have experienced so many different situations that I know at times the usual daily routine just has to be sacrificed in order to meet another family members needs, or even to accommodate the working hours of today’s mothers. However this book has been written to give mothers a daily guideline to follow to make life a lot easier and happier for everyone from day one. All babies are different though and will need slightly different amounts of sleep-some 15-30 minutes more than others at the various sleep times. Therefore it will be down to the parent to gauge exactly what works for their individual baby, based on the routine provided. I would never be able to give you a routine that will work exactly for every single baby, and anyone who says that is possible is being unrealistic. Babies are not robots and all have completely different personalities, so therefore each routine needs to be tweaked slightly and adapted in terms of the amount of sleep needed to suit each particular baby. In using this routine as a basis and gently steering babies in the right direction from day one, I have left happy parents at the end of each contract, whos babies typically drop their night feed between 8-10 weeks, settle well during sleep times and are in general very relaxed happy babies from day to day. It won’t happen overnight but with lots of patience and perseverance you too can have a happy baby who eats, sleeps and plays very contentedly and actually doesn’t need to cry on a daily basis as their needs are always met! It has worked for many mums and babies before and it was all of them that inspired me to write this book. I wanted to reach out to so many more parents who are desperate for answers to basic questions and who just need someone to point them in the right direction of keeping life with a new-born baby on an even keel. This book is here to give you that starting block and as a mother of 3 children myself I understand first hand how difficult life with a new-born can be when you are not sure where to begin! As mentioned previously, it is best to pack yours and the baby’s items that will be needed into a bag a few weeks before your due date. I would recommend having it ready as early as 32 weeks, as it is so much nicer to be prepared in an emergency situation-rather than relying on a partner or family member to get everything needed and bring to the hospital at a later stage. Only you really know what you want to have in it. Below I have compiled 1 list for the baby and 1 list for items you will/may need. Some of the things on the mummy list may not even get used, but it’s best to have them in your bag just in case-you can always pass them onto a friend if you don’t end up using them. *Bottles and formula if you are not breastfeeding. Although you may only plan on staying in hospital for a few hours after the birth and then getting back home as soon as possible, (all being well of course), even that will be enough time for your newborn to wee or poo on more than 1 vest/ baby grow, so packing a few is essential. Usually a newborn size will be the correct size to have for most babies that are born, but be prepared that if your baby weighs over 9lb at birth then she may not fit into it! I had this problem with my first son, and had to get my mum to take a detour on the way to the hospital to buy some bigger baby grows to put him in. It’s advisable to pack at least 1 vest and baby grow in a 0-3m size. *Cotton dressing gown-go for a thin one-hospital’s are kept at warm temperatures! *2 clean night-shirts for use after birth-with buttons or front opening if you plan on breastfeeding. *1 pack of large disposable knickers. These are fab to use in the first few days after birth when you are bleeding heavily, as they can just be thrown away if stained with blood. Also great if you end up having a c-section, as they can just be cut off which saves you painfully bending down. *1 pack of breast pads-although you shouldn’t actually need these until your full milk supply comes in around day 3 after birth. It depends how long you end up having to stay in hospital. *2 breastfeeding bras-if you plan on breast-feeding. *Dettol wipes/ Hand sanitiser-this is usually provided-but always nice to have your own! *Wash bag containing toothbrush, toothpaste, shower soap, deodorant and anything else you like. *Day clothes to go home in when you are discharged. It is a good idea to make a birth plan with your preferences in terms of labour positions, any pain relief you are happy to have and what you would like to happen after the baby is born. You can find examples on the internet/NHS website to give you an idea of what information is needed. Pack it into your hospital bag and make sure your midwife is aware of it when you arrive-it can be kept with your maternity notes that you hand to her on arrival. The biggest piece of advice I can give you about labour and giving birth, after having 3 children of my own, is to expect the unexpected and be prepared for your birth plan to change at short notice. None of us know how we are going to react to the circumstances and pain that is involved with labour and giving birth. We all know what we would like to happen, and how we hope that we can labour quickly and easily, without any pain relief at all, and give birth to a healthy baby at the end of it all without batting an eyelid! However, we all have different pain thresholds, and none of us know how our bodies will cope with labour-particularly first time round. In terms of pain relief it is best to just see what happens and go with the flow a bit. You will know if and when you get to the point of needing some form of pain relief-either to just take the edge off the pains, or take it away all together. I made a birth plan with my first baby stating that I would be happy to use the tens machine at the start and then gas and air if the pain became too much-I also specified that I would prefer not to have Pethidine or an Epidural at all……I ended up having 2 doses of Pethidine, an Epidural and an emergency c-section after 14 hours in active labour-6 of those stuck at 9 and a half cm dilated with contractions every 2 minutes! Needless to say, I didn’t even bother making a birth plan for my next 2 children! Your instincts over what you want and need at the time will take over and get you through it all. You haven’t failed if you don’t stick to your original birth plan-you have simply adapted to the circumstances surrounding you at the time. There are no prizes for going through all that pain with no help-the important thing is that you and the baby come out of it healthy and relatively unscathed at the end. Top tip: Labour can be very intense and obviously painful. I was so shocked as I looked down at my first born a couple of hours after he was born and thought, “that was so awful that I am NEVER doing that again,” and at the time I was sure that I meant it without any doubt! I felt so sad looking at my baby boy thinking that he would have to now be an only child, as I wasn’t prepared to go through that type of experience again, when previous to my labour I had always said I wanted at least 2 children. It is amazing how quickly the mind forgets though, as just 1 month later I was saying, “well, when we have the next one…” much to my husbands surprise, who thought we were stopping at 1! I have found the scenario I just described is normal for EVERY new mum I have talked to. 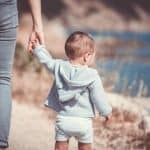 We all go through a few days or weeks after the birth resolutely stating that we will not have any more children-but most mums tend to change their minds. Nobody warned me of these feelings and they terrified me as I felt so strongly about it at that moment in time, and determined that I would never have another child. I also felt very sad at the same time. Because of this, I always try to warn friends and clients that this will be a perfectly normal feeling to have straight after your baby is born, and that for most of us, it won’t last! As painful as labour and birth is, our babies and children bring such love and joy to our lives from the day they are born, that any amount of pain is worthwhile! This is not something you can really plan ahead for too much, as we all pray for a straightforward labour or birth. If you have had problems in pregnancy and are already booked in for a Caesarean section, then you should have already been given all of the information and facts about how and when it will happen. It is a good idea to ensure you have a family member or friend who can step up and help out with childcare if you already have other children, in the event that you have to stay in hospital longer than planned. Always pack your hospital bag to cater for at least one overnight stay, and make sure that your partner or someone else knows where to find any extra items that may need to be brought to hospital for you or the baby if needed. Don’t be afraid to ask questions at your antenatal appointments about things you may be concerned about. If you plan on breastfeeding then you won’t need to take anything into hospital in terms of feeding equipment. As mentioned in the hospital bag items list, just ensure that you pack a couple of nursing bras, and some night-shirts that open at the front easily. If your choice is to bottle feed your baby, then you will most likely need to take bottles and some cartons to the hospital with you, as most Maternity wards do not provide them any more. It is something worth checking with your Midwife about. The ward will have a room (usually called the ‘milk kitchen’), where you will be able to sterilise and make up your babies’ bottles until you are discharged.